Bastrop State Park was devastated by the Bastrop County Fire of 2011. In September 2011, three separate fires started as a result of strong winds and merged into one large blaze. This wildfire ravaged through Central Texas, destroying 96% of Bastrop State Park, quickly becoming the most destructive wildfire in Texas History. It is estimated that only 50-100 acres of the Bastrop State Park’s 5,926-acre premises remained undamaged by the wildfire. Bastrop State Park’s expanse lands are the single home to the unique, drought-resistant population of loblolly pines called the Lost Pines. Because Bastrop County contains the westernmost distribution of loblolly pines, it has become home to this very unique population of pines. This population has developed adaptations over time to help them better survive the climate of central Texas. Some of the adaptations the Lost Pines have made to survive these more arid conditions include a thicker waxy coating on the needles, fewer stomata on the needles, more fibrous root systems, shorter height, and more persistent trunk branches. These unique pine trees in combination with an assortment of oaks and the large Bastrop State Park Lake create the perfect environment for many woodland animals, including the endangered Houston toad. The Houston toad lives exclusively in pine and oak woodlands, preferring trees such as the loblolly pine, post oak, and bluejack oak. Unfortunately, the Houston toad is believed to have lost the majority of its last natural habitat to the Bastrop wildfire of 2011. Conservation groups are working with landowners in Bastrop County to protect and restore Houston toad habitat. The Lost Pines Habitat Conservation Plan was approved in 2007 by the United States Fish and Wildlife Service to manage and recover a designated habitat for the Houston toad in Bastrop County. More recently, Bastrop State Park partnered with the Arbor Day Foundation, Texas Parks and Wildlife Department and the Texas Forest Service to begin wildlife relief efforts through the Bastrop Lost Pines Forest Recovery Campaign. This relief effort is aimed at restoring the unique pines that were destroyed during the wildfire through a five-year recovery plan. The plan is expected to lead to 4 million newly planted loblolly pine trees. Newly planted pines will serve a crucial role in the history and environmental sustainability of the area. With everyone’s help, Bastrop State park hopes to become fully restored and enjoyed for future generations of both wildlife and park visitors. 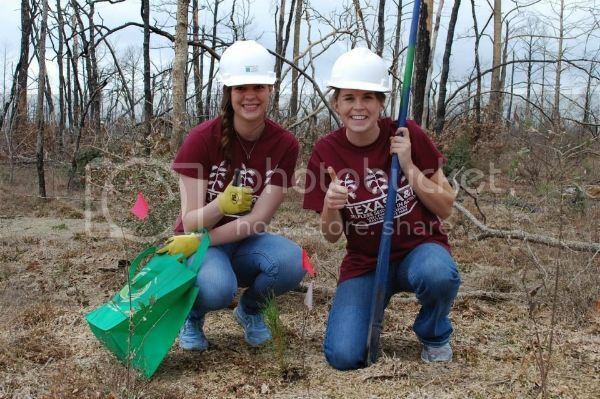 In 2013, the Lost Pines relief efforts made its way to Texas A&M, reaching out to SGA Aggie Replant for volunteers. Aggie Replant was thrilled to branch out from their single, annual tree planting event to lend a hand, giving back to their greater community through means of environmental service and leadership. Aggie Replant dedicated itself to the relief efforts, planning to rally hundreds of volunteers as well as providing means for transportation and food for the next five years of the campaign. In February 2013, Aggie Replant became the first student-led university organization to participate in this campaign. Over 400 volunteers showed up to devote an entire day to engaging in the selfless service and unity that exemplifies what being an Aggie is all about. Together, they made their impact, planting around 9,000 seedlings. 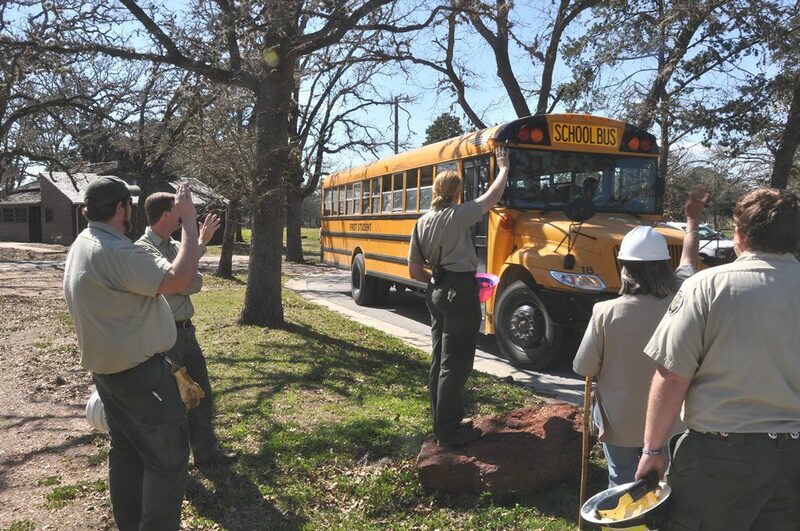 This February, Aggie Replant again participated in Bastrop State Park’s state-wide campaign, planning a four-day environmental service event for Aggies. Aggie Replant gathered 800 volunteers in the short span of 14 days and quickly collected the means for transportation and food. Although one day of the event was canceled due to inclement weather, this year’s contribution to the campaign was still a huge success. With the help of our volunteers and sponsors, we were able to meet our goal of planting 10,000 loblolly seedlings, constantly breaking daily volunteer planting records. In total, the Aggies efforts ended with an astonishing 11,662 freshly planted seedlings, expanding visions for next year! During Aggie Replant’s second annual Lost Pines Recovery event, volunteers were able to see the result of the previous year. Faded orange flags standing next to hardy seedlings represented a success of last year’s reforestation efforts. Aggies were also glad to see that larger, bushier seedlings had grown back naturally. 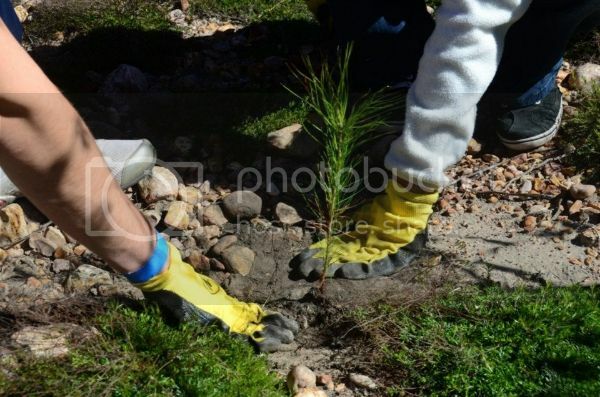 Because the success rate of the loblolly seedlings is just under 50%, volunteers focused on planting new seedlings in the same locations of older seedlings that hadn’t survive last year’s reforestation efforts. Aggie Replant would like to thank all of the volunteers and sponsors for their dedication to selfless service, the community, and the environment. Their leadership and values for excellence have made a difference that will continue to grow, flourish and last lifetimes. We hope to see everyone again this semester for Replant Day 2015, and again for the Aggies fourth return to Bastrop State Park for the Lost Pines Recovery 2016!